Talk about IKEA’s Swedish food, the traditional dish of meatballs with cream sauce and lingonberries, Najad salmon and Saithe Herb Crusted Fish comes to mind. 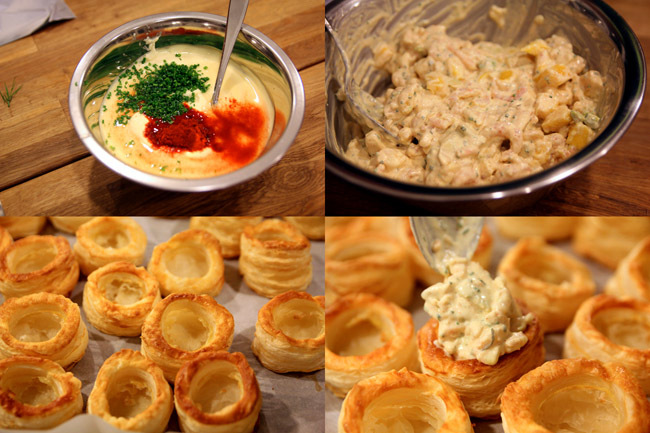 Want to learn how to prepare some of this Nordic delights? 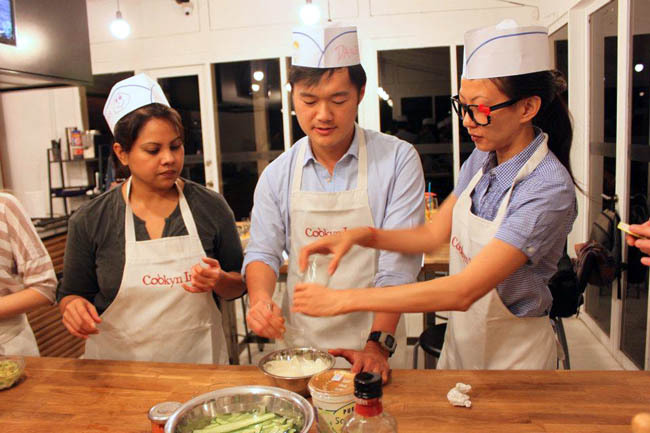 I was invited for a Swedcook session by IKEA at Cookyn Inc, and Chef Mervyn and Rayner (from HisFoodBlog) personally taught us how to create some Swedish dishes. 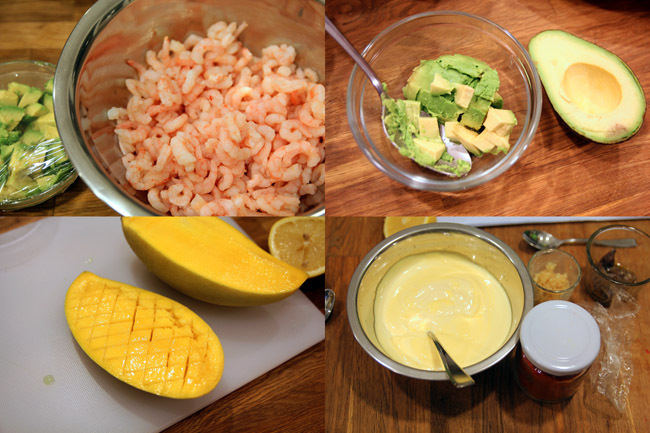 The food was very simple to make (really, if I can do it, so can you) and brought out the best of the ingredients. Here’s an easy starter you can try, especially when you are organising a party. Guaranteed to wow your guests. 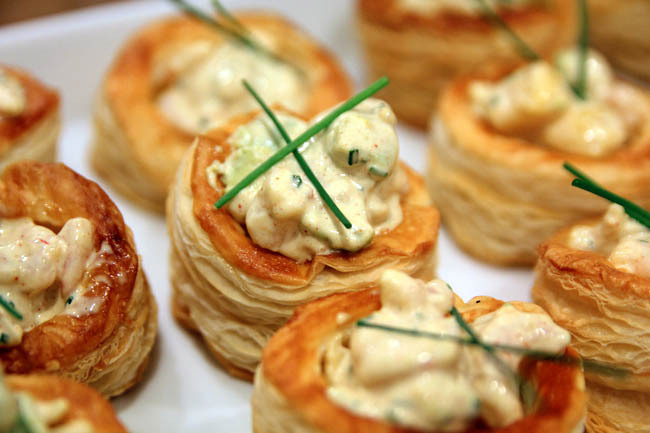 You can probably use other forms of puff pastries as substitute. 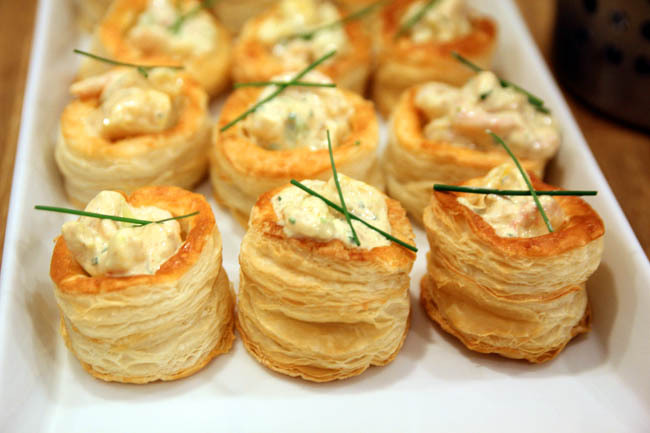 4) Assemble – stuff the shrimp mayo mixture into the vol-au-vent shells and serve immediately. Looks awesome right? I am already salivating just looking at the fillings. 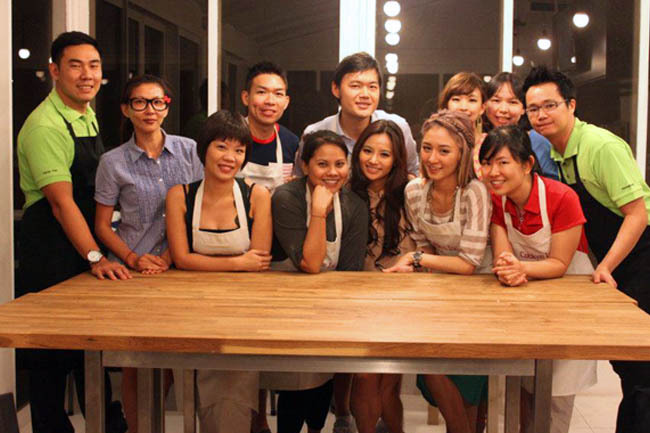 Here are some photo inspirations of happy people in the kitchen. MoonBerry helping me with the seasoning, and we were in matching blue! Group picture with Shi Fu Mervyn and Rayner in green. Pls.can u send 4me some of your recipe thanks a lot..